The idea to protect outstanding natural areas as national parks and undeveloped public lands (including undeveloped portions of national parks) as wilderness originated in United States. The development, and in particular, the motorization and mechanization of formerly wild areas of the public domain, alarmed conservationists in the early 20th century. The two major public land management agencies at the time–the US Forest Service, managing the National Forests, and the National Park Service, managing the National Park Units–were both building roads into wild country, albeit for different reasons. 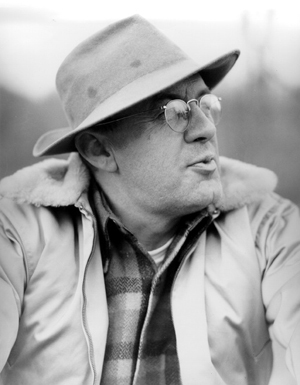 This idea to protect wild backcountry areas as wilderness was refined by some Forest Service employees like Aldo Leopold, Bob Marshall (who also worked for the Interior Department), and Arthur Carhart. Other individuals in and out of government including Olaus Murie, Mardie Murie (the first woman to graduate from the University of Alaska in Fairbanks), Harvey Broome, Benton MacKaye, Ernest Oberholtzer, and Robert Sterling Yard, all contributed to the wilderness preservation effort. It fell to Howard Zahniser to synthesize and articulate wilderness as a place and idea in the 1964 Wilderness Act. Zahniser intended that wilderness designation would protect or provide for important values such as primitive recreation, wildlife habitat, and clean water. However, he clearly articulated that wilderness, above all, is a self-willed landscape where modern humans show restraint and allow nature to roll the dice. As a result of the mandates in the Wilderness Act and other laws dealing with public lands, the four major public land management agencies were required to review undeveloped (roadless) land, and to make recommendations to Congress on what areas should be designated as wilderness. Of the four agencies–the US Forest Service, the US Fish and Wildlife Service, the Bureau of Land Management, and the National Park Service–only the Forest Service and Bureau of Land Management manage undeveloped wildlands in the Clearwater Basin. Since the Forest Service manages the vast majority of the public land in the Clearwater Basin, the following three paragraphs strictly address that agency. The Forest Service was mandated to conduct evaluations of roadless wildlands on the national forests to determine future wilderness recommendations. Roadless Area Review and Evaluation I (RARE I) was completed in 1972. The review, however, was struck down by the courts for violation(s) of the National Environmental Policy Act, and the agency was ordered to conduct a more comprehensive assessment. In 1978 the Forest Service completed RARE II. This too was found legally insufficient. The agency recommended only a tiny fraction of the wildlands for wilderness designation in both reviews, though, particularly RARE I, missed many qualifying areas. The national forest planning process was used to address roadless areas after the RARE processes. Because the Forest Service was developing many roadless areas, mainly through logging, species became more imperiled and water quality suffered. In the 1990s, the Forest Service reluctantly recognized this problem and a policy, called the Roadless Conservation Rule, was developed in 2001 that offered some protection for all of the remaining roadless areas that had been identified. Development interests challenged that policy, but eventually it was upheld. In the interim, the Bush administration allowed individual states to develop their own policy in conjunction with the Forest Service. Idaho’s anti-conservation politicians jumped at this opportunity and came up with the Idaho Roadless Rule, which offered much less protection for the 9 million acres of Idaho roadless areas than the 2001 policy for these remote areas. This has resulted in a policy disaster, because national forests in Idaho are now managed differently than anywhere else in the country. Over the past many years, the Forest Service has alleged that it can protect and manage deserving roadless areas in a manner that is somewhat similar to wilderness protection, without actual wilderness designation. While the agency’s record on this matter is not good–the Idaho Roadless Rule is less protective than the 1987 Clearwater National Forest Plan for example, and doesn’t really protect roadless areas–there is one example that dates back to the 1970s where the Forest Service protected a small area administratively, and that protection continues to this day. The Mallard-Larkins Pioneer Area is managed for non-mechanized recreation in a non-development setting (though less protective than wilderness). There are good reasons for the Forest Service to be much more aggressive in protecting roadless areas in this manner; a diversity of protection policies that compliment wilderness designation would be more sustainable in the long run. Millions of acres of roadless public wildlands are not protected in Idaho because of a separate rule (Idaho Roadless Rule) granted by the Bush Administration to the state of Idaho in 2008. Learn about the unprotected roadless areas in the Clearwater Basin. Court rules again in favor of National Roadless Rule – October 2017.